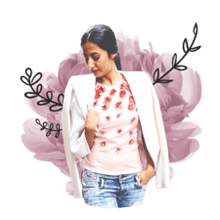 The Garnet Hill catalog is a free women's clothing catalog that is a misses clothing catalog / kids clothing catalog that sells the latest in women's fashion, kids' clothing, and beauty and fragrance items. The Garnet Hill catalog is also a free home decor catalog selling bedding, furniture, rugs, decorative accessories, and more. If you're looking for a gift catalog, you'll find gifts by occasion, price, and recipient inside the Garnet Hill catalog as well. 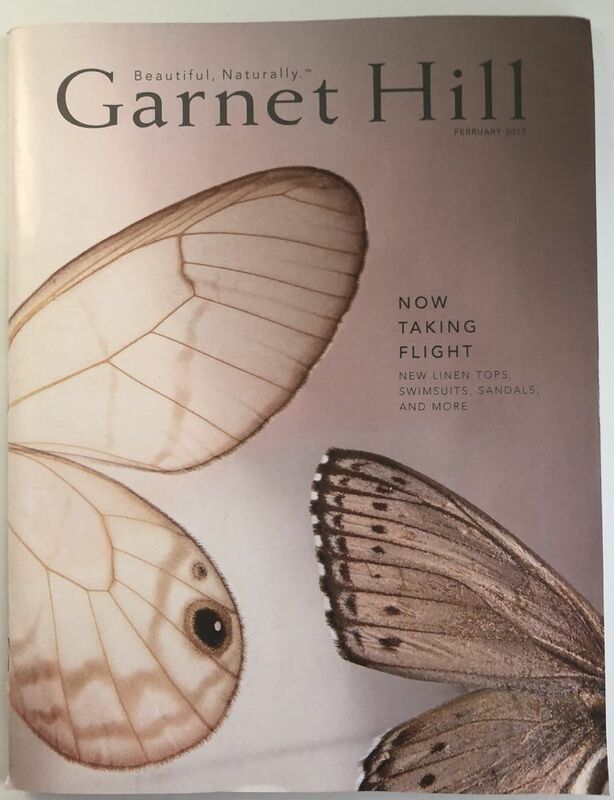 If you'd like to request that a free Garnet Hill catalog be sent to your home, you'll need to visit Garnet Hill's Request a Catalog page on their website. Before the form are the options for the catalogs you can request. You can get the Garnet Hill catalog or the Garnet Hill Kids catalog by putting a check in the box next to the ones you want. Then, fill out the form with your first and last name, full mailing address for where the catalog should be sent, and your email address. Note: Right after the email address field is the option to sign up for emails from Garnet Hill, like promotions and new arrival notifications. You don't have to sign up for emails if you don't want to - you can get the catalog without doing it, but you do still have to provide your email address. When you're done, choose Submit to request the catalog. It should arrive in the mail in around 2 weeks. If you'd rather, you should be able to request a free catalog by calling Garnet Hill using the phone number on their Contact Us page. Some other options for reaching out to Garnet Hill about a free catalog include live chat and email. The Garnet Hill catalog is sent out worldwide to those who request it. This includes the United States, Canada, and many other countries. If you like the Garnet Hill catalog, you'll also like catalogs from ​Chadwicks, ​Alloy, ​Appleseed's, ​Delia's, L.L. Bean, Lands' End, and Chico's. If you're shopping from the Garnet Hill catalog, an easy way to order the items online is to enter their item numbers in the boxes on the Catalog Quick Shop page. Otherwise, browsing for Garnet Hill products and ordering them online is easy to do from the Garnet Hill or Garnet Hill Kids page. On their website, you can look through menus like Women's Fashion, Shoes & Accessories, Bedding & Home, and The Swimwear Shop. In those menus are subsections for finding things like activewear, pants, tees, shorts, hats, socks, jewelry, bed sheets, lamps, jackets, dresses, boys clothes, leggings, and lots more. Something I like about using the Garnet Hill website is that in each of those categories is a Best Sellers, Top-Rated Products, and New Arrivals page that makes finding new and popular items really easy. There's also a Clearance menu made specifically for finding discounted items. Just Reduced is in that category, too, and it's for newly discounted things. There's even an Almost Gone page to grab deals before they leave the website, as well as Save $100 or More for finding heavily discounted items. While browsing through the categories, you can filter the results by things like price, color, and size so that you can be sure to find exactly what you're looking for.